Del Sol has come out with a seasonal color-changing polish called Trick-or-Treat, adding to their already extensive selection of color-changing polishes. These polishes are activated by the sun, and I have always found them to have a rather dramatic change. Below: Trick-or-Treat indoors is a fairly sheer (I used 2 coats) polish with a clear base that's tinted a light charcoal grey. On the nail, it's a muted peach tone. 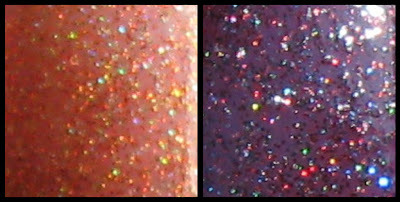 It's filled with fine multi colored holographic glitter, and is shown here indoors with no flash. Below: As I begin my trek into the yard, it begins to detect sunlight even in the shade. The charcoal grey background is evident, and the glitter becomes more defined. Below: It immediately changes once I get into the sun, and the deep purple background will change into a very dark, almost black shade, depending on your lighting. These photos were taken in indirect sunlight, and it turns the deeper charcoal/black shade in direct sunlight. My photos in direct sunlight were reflecting quite a glare, so just use your imagination! Below: I love the festive graphics on the bottle! This is a very fun polish to play with! I'm still wearing it, and even in the house it's changing colors. It's a sunny day here and depending on which room I'm in, there's still quite a bit of color-changing going on. It's mainly staying in the charcoal range indoors when I'm near the windows, and I especially like the holographic glitter. Indoors, it's more orange and silver, while outdoors brings out a rainbow of colors. Del Sol was kind enough to include an extra bottle for a giveaway, so if you'd like to enter my drawing, just leave your eMail in the comments section. I'll leave the contest open until I post again tomorrow (probably around noon), then I'll announce the winner in tomorrow's post. 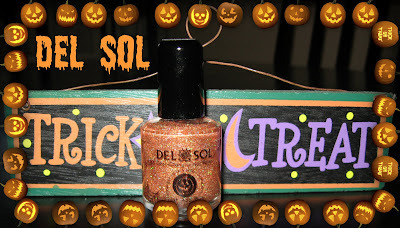 Del Sol polishes on available on their web site for $10.00 each (buy 3 get one free), and also in their free-standing stores (see store locator here), and in select Walgreen's. *Products shown were furnished by the manufacturer or PR firm for review and a giveaway. Thanks very much! The polish looks really nice. colour changing AND holo?! this polish is right up my alley! too bad it's not available in singapore .__. I would love to enter! That is such an amazing colour change... I love the dark purple! I'm dying to try one of these solar polishes! How awesome. i've been looking for this at my wallgreens but still cant find it :( i hope i win!! Adorable. What a fun giveaway. The polish looks so cool, definitely festive and fun! Hullo :) This polish looks great! Please enter me. My email is kirby.monk (at) gmail (dot) com. hi there the polish is pretty please enter me in the giveaway pgreenlee@wi.rr.com---awesome! Wow, I was surprised by how pretty it is! This is an awesome color!! I really really really hope I´ll win. Wow what a fab polish! awesome! that is go great :) thanks for the giveaway. Thanks for the giveaway! I wish my Walgreens had these. What an amazing nail polish ! Thank you for the giveaway. Ivana dot ristic88 at gmail dot com. I nearly fell off my chair looking at this! If I could win any giveaway, this would be the one I would want to win most! LOVE this. wow, that colour change is crazy! A must have, please sign me up. Please enter me in the giveaway. That is a dramatic change in color. I like both of the looks. Thanks Mary! Really cool! 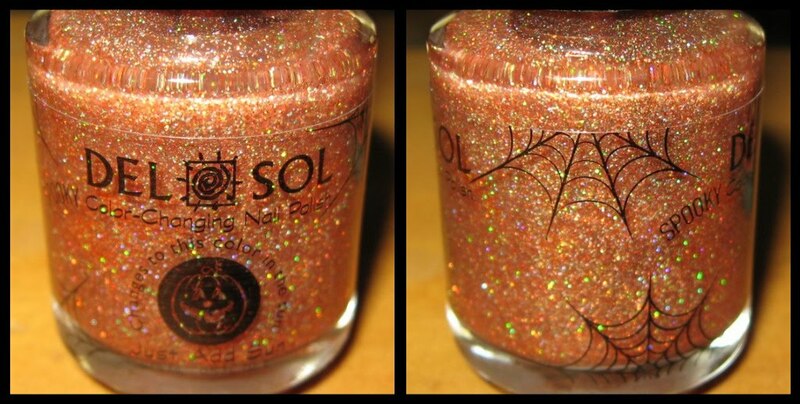 I haven't gotten to try any Del Sol polishes yet, so I'd love to win this! Oooh I love the festive bottle! I have to get that funness right now! I was just hoping I could see this swatched before I purchased and now a giveaway! Wow, this looks really fun to play with! Amazing change and I love all that sparkle! 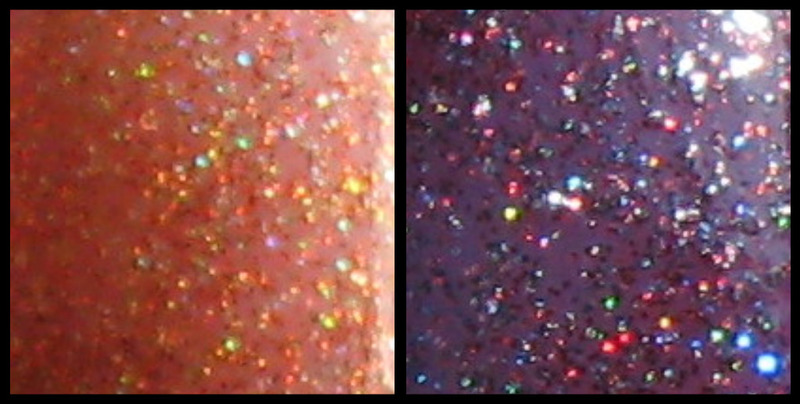 I love the dramatic change as opposed to other color changing polishes which are so much more subtle! Wow! It's hard to believe that is the same polish! It's so awesome. I love Del Sol! I was too frugal to purchase their nail polishes while I was vacationing in Alaska over the summer (kind of ironic that they'd sell solar activated items in Alaska since the Fall and Winter months are spent in 20 something hours of darkness), and had a handful of opportunities to do so since there was a Del Sol store in almost every port city/town I visited. Darn! I wished I did.. so I'd love to be the lucky winner of this giveaway! I wish there was a way of telling which Walgreens had them! 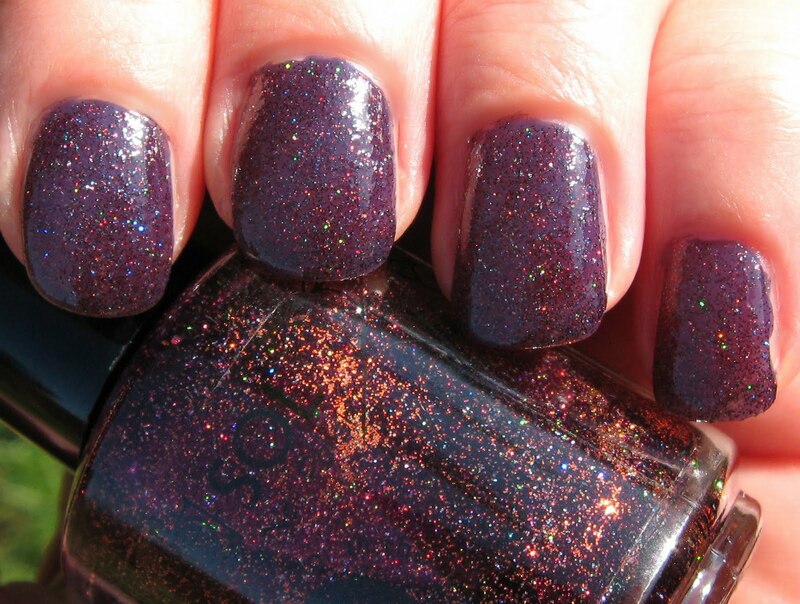 WOW i'm commenting because this color is gorgeous not to win the contest! (cuz it's closed already hahaha) great find mary! !